If you use medical marijuana you may be considering vaping. A lot of questions come to mind such as “is vaping medical marijuana truly safe?” and “what kind of vaping device is the best to use?”. Throughout this article I’m going to talk about vaping medical marijuana in general and compare the 3 most widely used vaping devices in detail. There are two kinds of vaporizers. There’s the more widely used vaporizer that runs on oil and the lesser known that runs on dry marijuana herbs. You have to decide which kind you prefer based on your needs. Herbs have certain advantages over oils. 1. One is taste. If you enjoy the way marijuana tastes and want to get the sensation when you inhale, then you should vape herbs. 2. Herbs will also give you the psychoactive effects of marijuana as they are higher in THC levels than are oils. 3. Vapes, which you can use to inhale marijuana herbs or flowers, are also easier to maintain as they’re much easier to clean. Just give them a little brush with alcohol and they are good to go. 4. The final perk of plant vapes is that the marijuana herbs they use are much easier to obtain; although oils are starting to gain popularity and are becoming more available. You probably gleaned most of what you need to know about oils from the paragraph above. If you’re someone who is not particular as to the taste of what you are inhaling, then oil vapes will suit you best. Tasting isn’t for everyone. 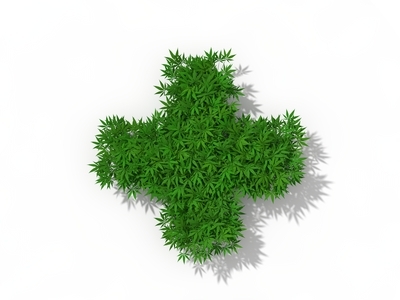 The amount of THC in oils varies as there are 3 types of medical marijuana oils. There’s high THC and low CBD, low THC and high CBD, and those with 1:1 THC/CBD levels. This gives you more options with regard to the psychoactive impact you desire. One perk that separates oils from plants and herbs is that oil vapes are more portable because traditional pen vaporizers originally used oil and not herbs. If you want something that’s small and light then oil vapes are your best option. Now that we’ve discussed the component of your vaporizer, let’s discuss the vaporizer itself. 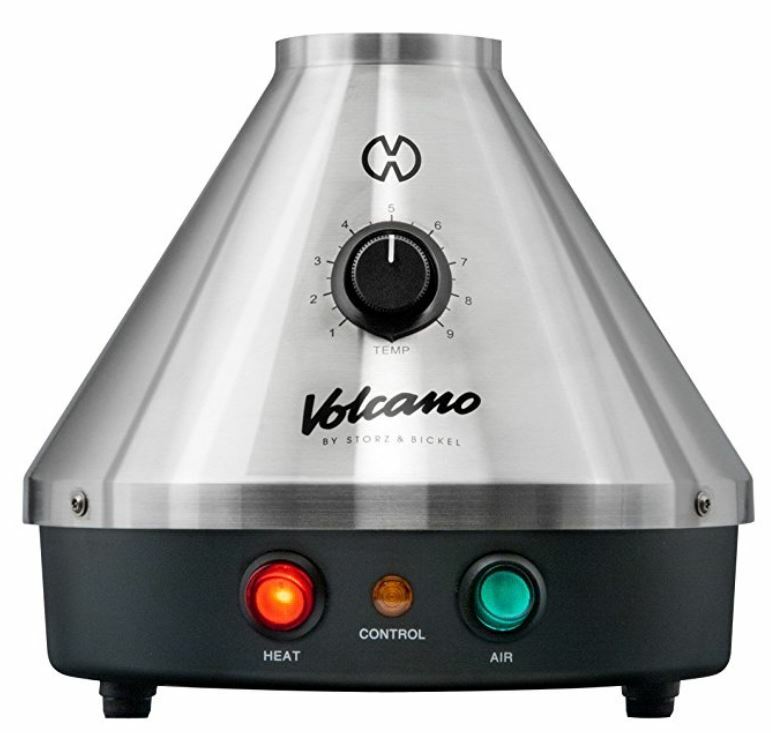 We’re going to start with the desktop vaporizer since it’s the largest of the group. It’s a lot like comparing desktop computers to laptops. Desktop vaporizers are often big, complex, and heavier than portable vapes. They usually need to be connected to a power source making them stable and very long lasting. Some of them also come with batteries, but it would be ridiculous to compare them to the batteries of other kinds of vaporizers. Batteries for desktop vaporizers are clearly superior and will definitely last much longer. Their size, and the fact that they’re long lasting, make them suitable for a longer session that’ll enable several people- rather than just one using a vape pen. If you expect desktop vaporizers to be more expensive than other kinds, then you’re absolutely right. All of these features make desktop vaporizers the safest method of vaping and the most ideal for medical purposes. Next we have the better known, and more popular, vape pen. There are so many different kinds of vape pens such as Yocan Magneto, Rokin Nitro, Clout OOZI Magnum, and Dr. Dabber Aurora. Each of these has features that differentiate them from the others. The Yocan Magneto is one of the easiest to use, but doesn’t have the best heating elements. The Rokin Nitro is easy to use, has no plastics/glue, and you can pack large amounts in it with no oil spill. You’ll need to experiment with the various types in order to find the one that suits you best according to your needs. They cost an average of about 80 dollars per pen, which isn’t too expensive considering how long they last. The least well known tool that can be used for vaping is the dab rig. 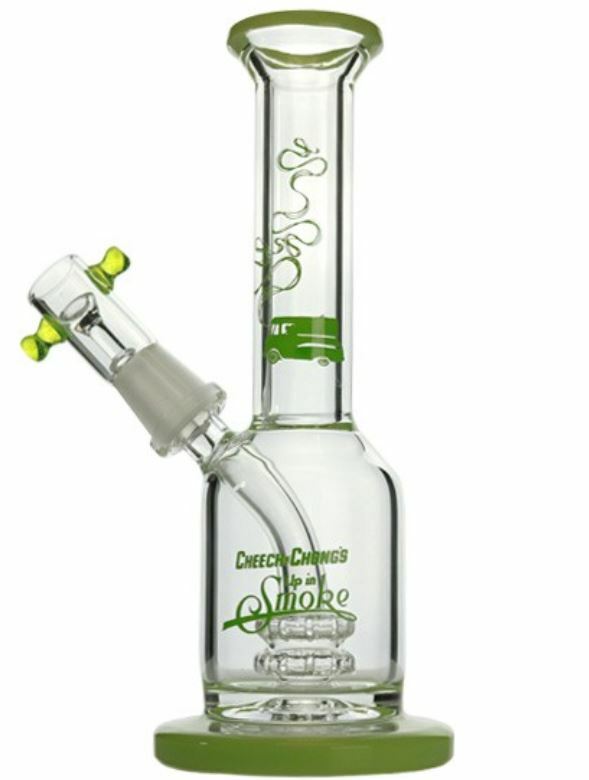 Dab rigs are practically water pipes that can be used to smoke oil or extracts. The device has a dome and a nail (which can be made from glass, titanium, or quartz). What you do is heat the nail until it becomes really hot. Then you press the concentrate on the nail and inhale through the mouthpiece. It’s mainly for home use as it’s not something you would use in public and it’s not very portable either. To sum up the differences between the three kinds: desktop vaporizers are the most efficient, but they take longer to work. They’re all safe and don’t have any additional specific side effects relative to the others. If you use herbs containing THC, then you might experience psychoactive effects. When it comes to price range you’ll notice that desktop vaporizers are the most expensive. Vape pens fall within a somewhat narrower price range while the cost of dab rigs can range from very inexpensive to expensive. They’re all available, but vape pens are the most popular due to their non-marijuana uses as well and their portability. In order to get maximum benefits from your experience and the most pain relief, you’ll need to pay attention to all the components. The quality of the vape you get will affect the outcome of your experience as much as the kind of oils or herbs you use. You should keep in mind that since herbs have higher THC levels they’re going to take longer to exit your system and will probably show up on drug tests. As mentioned before, if you’re worried about drug testing then you should go for the kind of marijuana oils that are low in THC and high in CBD. Use the desktop vaporizer at home to make the most of your medical marijuana. If you want something that’s portable because you spend a lot of time traveling or use outside your house then look into the various kinds of vape pens on the market. They’re all safe though so there’s nothing to worry about. 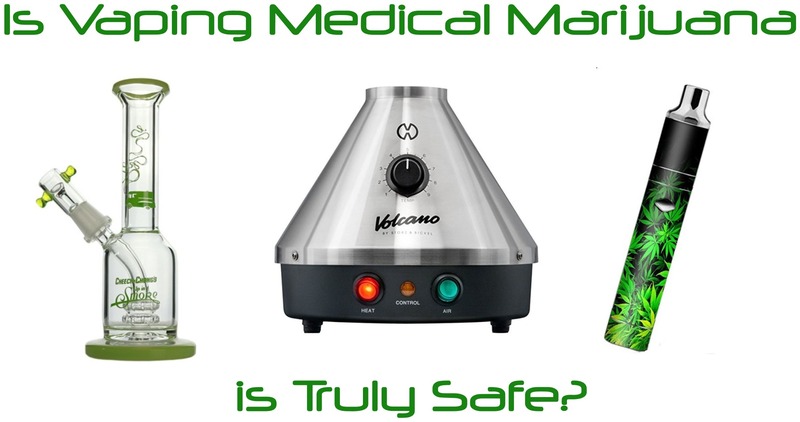 Thank you for reading my article “Is Vaping Medical Marijuana Truly Safe?- A Comprehensive Guide to Vaping” Hope I was able to answer your questions and help you make the best decision on the best method of vaping medical marijuana for you. Hello, any recommendations for a good quality but not too pricey vaping pen? I am literally stuck and have no idea what to pick…Thanks.. Pam..I would recommend trying Yocan Magneto as it is one of the easiest to use. I think the price is around 60$. Please check more information about this vaping pen here. Yocan Magneto is a good choice. The best part of this wax pen is that offer a variation on an age-old design, I am happy to see Yocan offer a breath of fresh air with the Magneto. The way you load the Magneto makes it stand apart from any other wax pen on the market, offering a more hassle-free experience. Philippe..Thanks for your feedback. I am glad that you agree with our recommendations. I personally like Yocan Magneto myself. I am 3 months pregnant and keep using marijuana as this helps me with nausea. Do you think it will be safer if I vape instead of smoking? Kait..Vaping is definitely one of the safest ways of consuming marijuana. Regarding your pregnancy, I would consult your physician regarding using medical marijuana for nausea. CBD oils which contain extremely low THC levels can be pretty helpful for your nausea as well. Yeah vaping is safe but if we use it in limits & it’s already scientifically proof by CDC Research that it’s not harmful. Cheap e liquid concentrates..Thanks for your comment. We always value knowledgeable opinions. Darnell..Thanks for sharing your experience about vaping. I am sure this will be helpful information for other users.